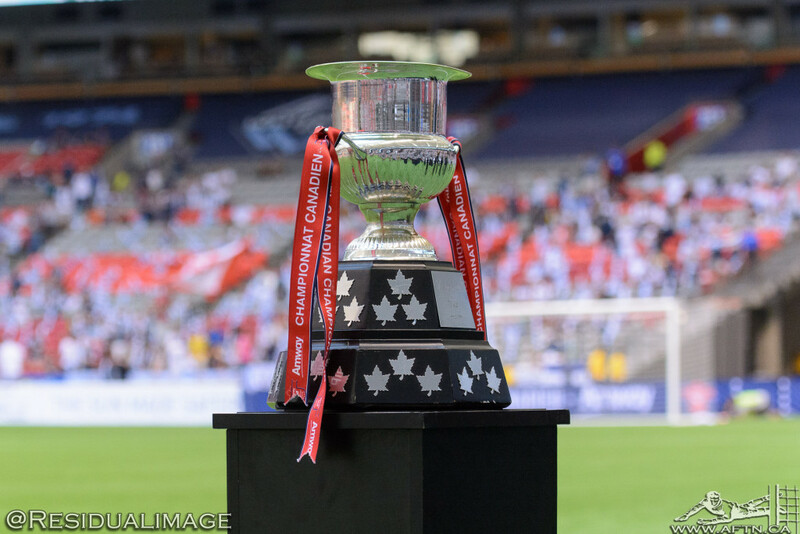 Vancouver Whitecaps learned their path to lifting the 2019 Voyageurs Cup yesterday when the draw was made for this year’s competition. The Whitecaps will come in at the quarter-final stage this season, the third round of this year’s expanded tournament. Facing them on July 10th and 24th will be a Canadian Premier League side – either Cavalry FC, Forge FC, or the tasty tie we’re all wanting, Victoria’s Pacific FC. For that dream match up to happen, Pacific FC will need to get by Calgary’s Cavalry FC in their two-legged first round tie to be played out on May 15th and 22nd. Whoever advances from that battle will then face Hamilton’s Forge FC on June 5th and 12th, with the winner of that advancing to take on the Whitecaps. 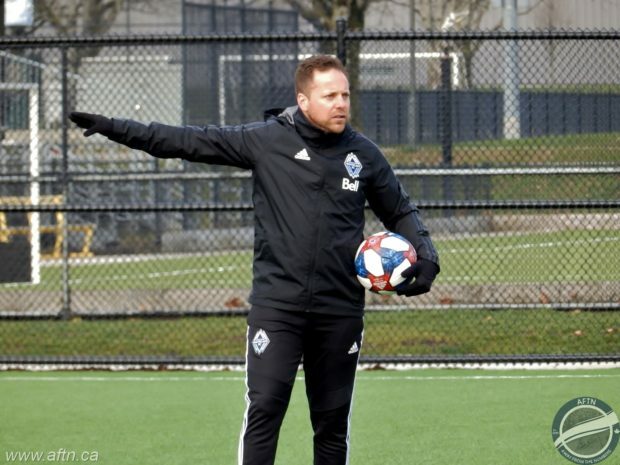 This year’s tournament will be Marc Dos Santos’ first at the helm in Vancouver, but it’s one he’s very familiar with from his time in Montreal with the Impact and he was involved in some fierce battles over the years, admittedly breaking Whitecaps hearts along the way! Dos Santos loves the tournament and he’s excited to see its growth and its expansion into a fully fledged cup competition. “I think the revamped format is great because it gives a lot of opportunities to new teams,” Dos Santos told us at Whitecaps training on Wednesday. “It allows players to dream and it allows players to try and excel as much as they can. We’ve already made our views clear on some of the more ridiculous aspects of the new look Canadian Championship and the missed opportunities that came with it, but that aside, there is no doubting that the extension of the tournament to encompass many more teams is long overdue and will certainly create a lot of excitement when things get underway in three months time. 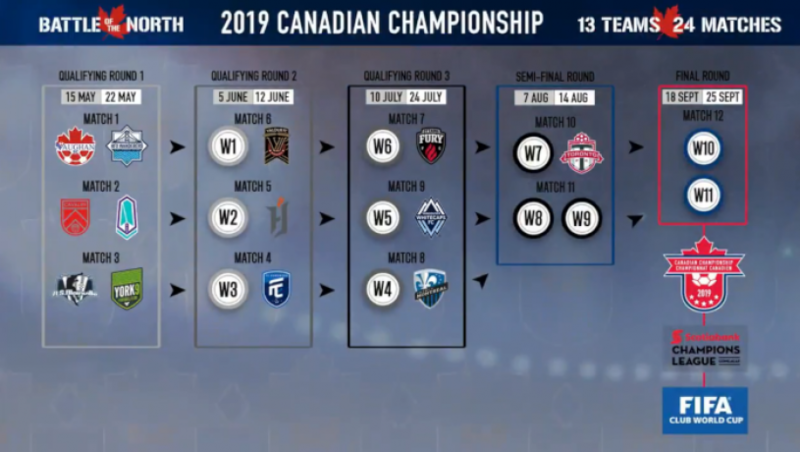 The 2019 Canadian Championship will see 13 teams taking part: all three MLS teams, all seven CPL sides, Ottawa Fury of the USL, and the winners of Ontario League 1 (Vaughan Azzuri) and Quebec’s Premiere Ligue (AS Blainville). This year’s final will be played later than ever before, with the two legs scheduled to take place on September 18th and 25th. A long way away, perhaps, but it’s a goal that Dos Santos is actively working towards with his new look Whitecaps squad. “Our objective in this competition is to at least reach the final,” Dos Santos stated. “Me as a coach, I’ve always had my bar very high. So I have high dreams, I have high hopes. I want this team to make the playoffs. I want this team, in minimum, to be in the final of the Canadian Championship. So these are all objectives that we want, regardless of the turnaround, regardless of the players.